When it comes to plumbing, heating, and air conditioning services, Rite Rate Heating and Cooling in Montclair, NJ stands apart from the rest because we do it all. We know that the systems in your home are linked. You can't think about your heating system or your thermostat without also thinking about your cooling system. Our heating, cooling and plumbing services take into account all the needs in your home. Working with us to address all of your home or business needs ultimately saves you money. 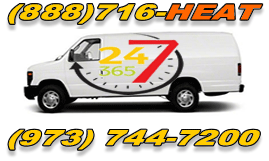 We specialize in plumbing, heating, air conditioning and HVAC systems. We can help you with expert repairs, replacements, and installations, all with a personal touch. If you talk to others about our services, you'll hear that we're experienced experts in every heating and cooling system. We also offer sewer and drain cleaning and repairs. Whether you have central air, forced air, packaged air conditioning or heat pumps, we know the ins and outs. When there is an emergency, you can expect us to answer the phone 24-hours a day. Your heating and cooling and plumbing needs don't work banker’s hours, and neither do we. Do you have questions about costs? We believe in transparency. If you need a replacement or an installation, we tell you what you need and explain why. Our expert plumbers and technicians work around your needs. We work quickly to keep you comfortable in your most important space, your home. When you hire one of our experts, we take the time to explain to you your options and why we recommend specific services. Quality service takes time and we take the time to do it right. Once your system is repaired or installed, we work with you to teach you how to care for your system. We work to protect your heating and cooling system and ultimately save you money. Our service always comes with a smile. Contact us today and let us put our expertise to work for you.